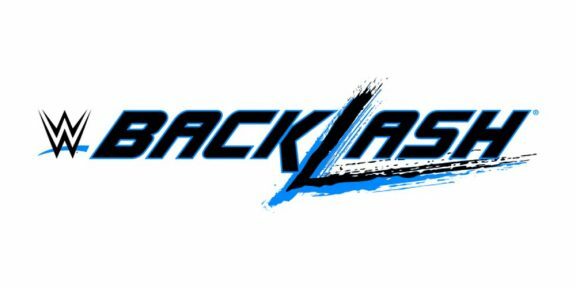 Welcome to our live coverage of WWE Backlash. 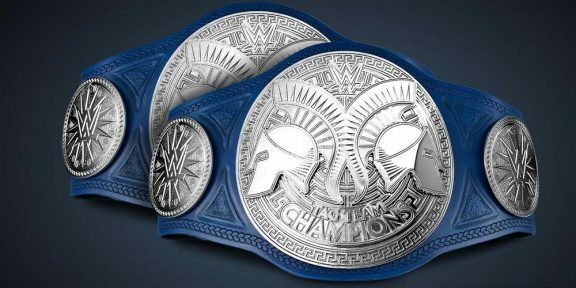 The show is taking place from the Richmond Coliseum in Richmond, Virginia and it’s the first Smackdown-only PPV after the draft. The show is only available on the WWE Network and is not aired on traditional pay-per-view. Backlash starts with a scrolling message on 9/11 reminding us that freedom is not free. Smackdown Commissioner Shane McMahon and General Manager Daniel Bryan kick off the broadcast with each getting their own entrance. Shane thanks everyone for making Smackdown a success and reminds everyone that they will crown new champions tonight. Becky Lynch comes out first followed by Natalya, Naomi, Alexa Bliss, Carmella, and then Nikki Bella. This is a six-pack challenge elimination match. Alexa Bliss was eliminated first, pinned by Naomi. Natalya then eliminated Naomi with the Sharpshooter. Nikki eliminated Natalya and then immediately Carmella pinned Nikki Bella for the first surprise of the night. Final two were Becky and Carmella and Becky won with the Disarmer. Becky thanks fans for believing in her in the post-match in-ring interview. Not a bad match at all, with some good sequences and no botched moves. Great showing from the Smackdown women. The Miz is walking backstage and knocks on Jagger Eaton’s locker room. The two trade words before Eaton closes the door in Miz’s face. Randy Orton is attacked backstage by Bray Wyatt. Wyatt takes out Orton’s leg, which will be used as the reason why Orton won’t be able to wrestle tonight. He’s medically still not cleared following SummerSlam. The Usos are wearing black outfits and there’s no face paint since they are now heels. Zack Ryder took the most punishment early on as the heels enjoyed their new heel-y tactics. Ryder eventually does the hot tag and the amped-up Mojo Rawley cleans house. He then tags in Ryder again just a minute after doing the hot tag and Ryder is taken out again. The Usos destroy Ryder’s leg and Ryder taps out. The Usos will now advance to take on Slater and Rhyno later in the night. Backstage interview with Slater and Rhyno hosted by Renee Young. Rhyno’s wearing the Vote for Rhyno t-shirt. Slater is acting stupid, as always. A Connor’s Cure video airs as WWE continues to promote their fight against pediatric cancer. Get The Gear, Give The Gear, only at WWE Shop. Before getting out, The Miz confronts Daniel Bryan and said he wants to renegotiate his contract. DB didn’t like it. Maryse and her outfit certainly stealing the spotlight right now. The Intercontinental champion enjoyed the upper hand throughout the match, even imitating Daniel Bryan by doing the running drop kick to the corner multiple times. The Miz worked on Ziggler’s leg to prevent the super kick presumably…but Ziggler still managed to hit it and went for the pin, however The Miz put his leg on the bottom rope. The ending came when Maryse interfered by spraying something in Ziggler’s face and then The Miz hit the Skull Crushing Finale for the pin. The pre-show panel discuss the evening’s events so far. Recap of the Kickoff match between Baron Corbin and Apollo Crews airs. It’s demon Kane! The action immediately spills to the outside and Kane clears the Spanish announce table but Wyatt clocks him with the ring bell. Wyatt takes a chair and hits Kane several times with it but then eats a DDT on the chair himself. Action goes back outside and Kane is placed on the Spanish announce table as Wyatt runs from the adjacent table and jumps on Kane, breaking the table. Wyatt goes for the Sister Abigail but Kane chokeslams him instead. Randy Orton walked out with his leg taped up. He hits the RKO on Wyatt and Kane follows up with a chokeslam and the pin. AJ Styles is shown walking backstage, meets two up-and-coming unknown wrestlers and gives them a pep talk. WWE Network commercial airs of stuff that’s coming up. Nothing new, same one that aired at SummerSlam. If Rhyno and Slater win this match, then Heath Slater finally gets a Smackdown contract. If they don’t win, it’s back to square one for Slater. Just like in their previous match, The Usos take control with Slater on the receiving end of the punishment. Slater finally hits the hot tag and Rhyno bulldozes through The Usos. After Rhyno meets the ring post, Slater tags in again and beats up both twins. Rhyno recovers, hits the gore on Jimmy Uso and Slater covers for the pin. Slater and Rhyno celebrate with their new Smackdown Tag Team titles and the two hug it out. During the post-match interview, Slater screams and asks Rhyno if he hears them [the crowd]. Slater then tells his “wife” that they’re now gonna get a double-wide! Hilarious! Either the main event is getting almost an hour or this show will not go to the three hour mark as the video recap for Ambrose vs Styles starts at nearly 10PM. Match starts slow until AJ tells Ambrose that he owns him, and then things get moving. Styles quickly gets the upper hand for the first part of this match but Ambrose recovers with the usual set of moves until Styles suplexes him into the turnbuckles. Styles goes for the flying forearm but Ambrose moves and tries to hit the Dirty Deeds but is blocked. The former TNA champion then attacks Ambrose’s legs and works on it for the next few minutes. Styles locks in the Calf Crusher but Ambrose grabs the bottom rope to break the hold. The match flip-flopped between the two and Styles hit a near fall after a springboard splash. Ambrose hits a suicide dive and Styles goes flying over the announce table, nearly taking out JBL in the process. The WWE champion escalates his attack on Styles. After a ref bump, AJ Styles hits a low blow on Ambrose and then the Styles Clash, gets the three count and wins the WWE World title.